The DB Class V 60 belongs to the type C and thus has three driven axles in the main frame. The diesel locomotive DB was developed at the beginning of the 1950s for the shunting service of the German Federal Railroad. There was one lighter and one heavy version of the 260 series. From the lighter version of the diesel locomotive DB Class V 60 were built a total of 623 copies, of the heavy version 319 pieces. The manufacturers were MaK, Krupp, Henschel, Krauss-Maffei, Jung, MF Esslingen, Klöckner-Humboldt-Deutz and Gmeinder. The 260 series was manufactured from 1955 to 1963 and had standard gauge (1,435 mm). The length over buffer was 10,450 mm, the height 4,540 mm, the service mass was 53 t. With the installed power of 650 hp a top speed of 60 km / h was achievable. Until about 1982, the vehicles were as small shunting locomotives in use of the DB. However, they also moved light freight and passenger trains. After the installation of radio remote controls in various vehicles of the series in the 1980s, these were renamed in series 262 and 263. Until early 2003, all locomotives were decommissioned without radio remote control. In 2012, about 200 of the vehicles equipped with radio control were still in use at DB Schenker Rail. However, other vehicles are currently still operating in Algeria, Yugoslavia and Turkey. 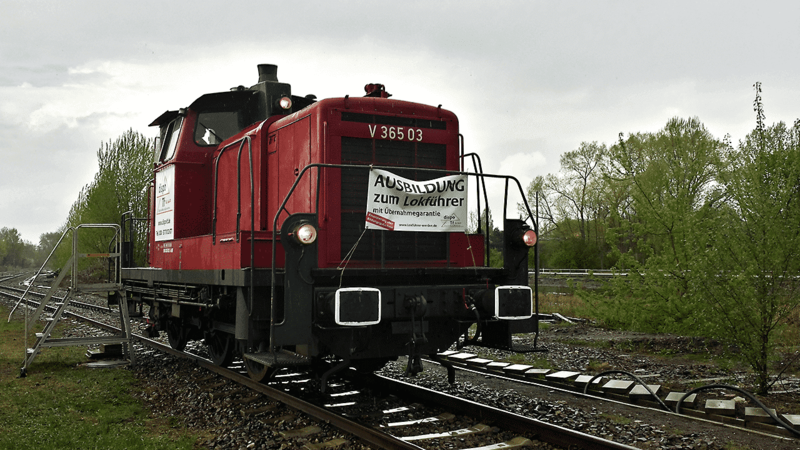 More than 70 locomotives are currently privately owned in the Federal Republic of Germany. The diesel locomotive DB Class V 60, however, also refers to the 165 diesel-hydraulic locomotives of the Voith Gravita 10 BB series, which have been in service with the Deutsche Bundesbahn since 2008. These vehicles also act as shunting locomotives. They are 15,720 mm long and 4,273 mm high. Your service mass is 67.5 t. 18 other vehicles are operated in the Federal Republic by the rental company Northrail, 5 locomotives of this series currently operate in Switzerland.